Three years in, Canada has recognized the UN International Decade for People of African Descent, but didn’t come with an accompanying action plan. 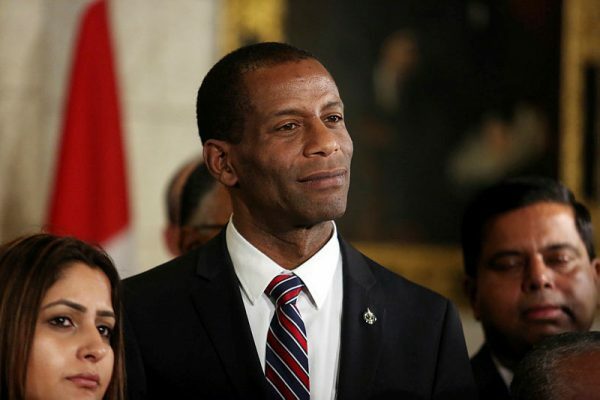 But Liberal Black caucus chair Greg Fergus says results will come by the end of the Grits' mandate. Current and former Black Parliamentarians say it’s better late than never that the prime minister last week announced Canada’s recognition of a UN decade for people of African descent, three years into it, but some observers say they’re disappointed with the government’s lack of action to rectify inequalities affecting Black Canadians. On the eve of the start of Black History Month on Jan. 30, Mr. Trudeau (Papineau, Que. ), flanked by members of the Liberal caucus and other politicians as well as representatives of African-Canadian community and professional groups, announced that the Canadian government would recognize the United Nations International Decade for People of African Descent, which began on Jan. 1, 2015 and runs until Dec. 31, 2024. “I guess one could say ‘better late than never’” about the recognition of the decade, wrote Afua Cooper, the James. R. Johnston Chair in Black Canadian Studies at Dalhousie University, in an email to The Hill Times. 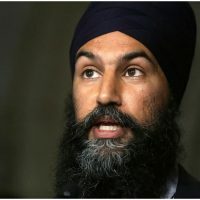 NDP leader Jagmeet Singh echoed that sentiment in a Feb. 1 statement that said he was pleased to see the government making the commitment to recognize the decade, but it was coming three years late. Conservative MP Peter Van Loan (York-Simcoe, Ont. 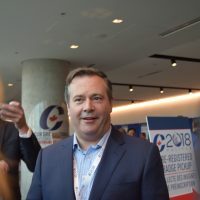 ), his party’s Canadian heritage critic, said in a statement to The Hill Times that the party welcomes the observance of the decade. 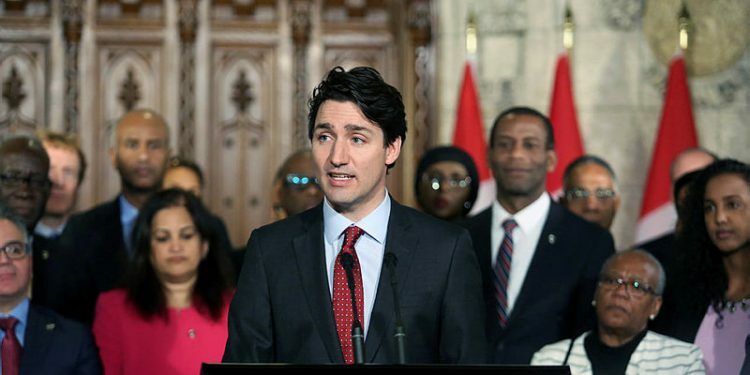 Mr. Trudeau said during the announcement there would be an increase in research capacity and data collection to better understand challenges facing Black Canadians, but made no specific commitments. “I was disappointed, frankly, with some of the language that he used,” said Donald Oliver, a former Conservative Senator for Nova Scotia who was the first Black man to be appointed to the Senate in 1990. 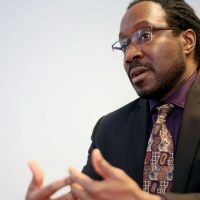 The research has been done, said Mr. Oliver, who led a 2004 study for the Conference Board of Canada identifying barriers to advancement in the workplace for visible minorities. 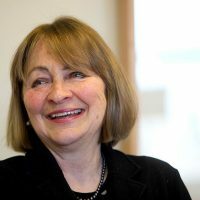 Independent Senator Wanda Thomas Bernard (East Preston, N.S.) was among those standing behind Mr. Trudeau at the Jan. 30 announcement. 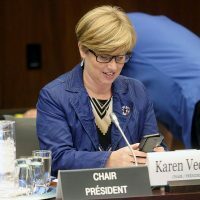 “I didn’t hear everything I was hoping to hear and expecting to hear, however I do firmly believe that having the acknowledgement is an important first step,” she said. 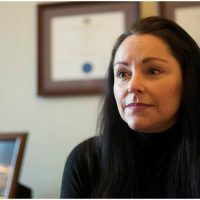 A long career in social work preceded Sen. Thomas Bernard’s appointment to the Senate in 2016, during which she led a multi-year research project that studied the impact systemic anti-Black racism has on the health and wellbeing of Black Canadians. 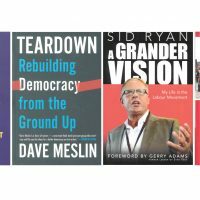 She said she recently persuaded the publisher of the book that resulted from the study to put it back into print, and will be sending a copy to Mr. Trudeau. 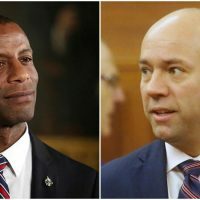 For example, it’s within the prime minister’s purview to appoint people of African descent to the highest positions in the public service, Mr. Oliver noted, adding he could also act on a recommendation from the UN working group to establish a federal department of African-Canadian affairs. 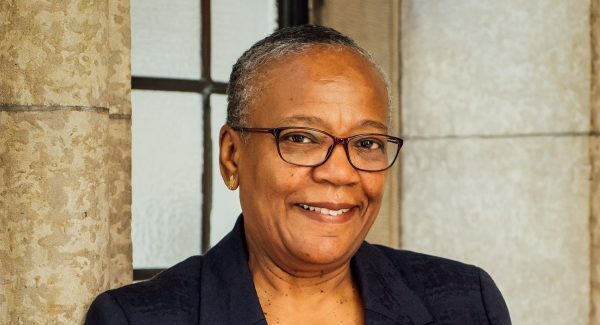 The lack of an action plan in the announcement made it ineffective, said Sarah Beech, a communications and marketing professional who advocates for the eradication of anti-Black racism. And coming on the heels of Mr. Trudeau’s unwillingness to criticize United States President Donald Trump for his comments about wanting to stem immigration from African countries and places like Haiti—allegedly referring to them as “shithole countries”—the announcement made two days prior to the start of Black History Month “seems somewhat performative,” she added. In response to criticism that government action is slow in coming considering the UN decade began in 2015, Liberal MP Greg Fergus (Hull-Aylmer, Que. 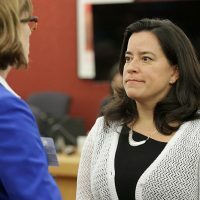 ), chair of the Liberals’ Black caucus, noted that the UN working group wasn’t invited into Canada until after the Liberal government took office. “The previous government was the one that didn’t allow that committee to come in on the fact-finding tour. 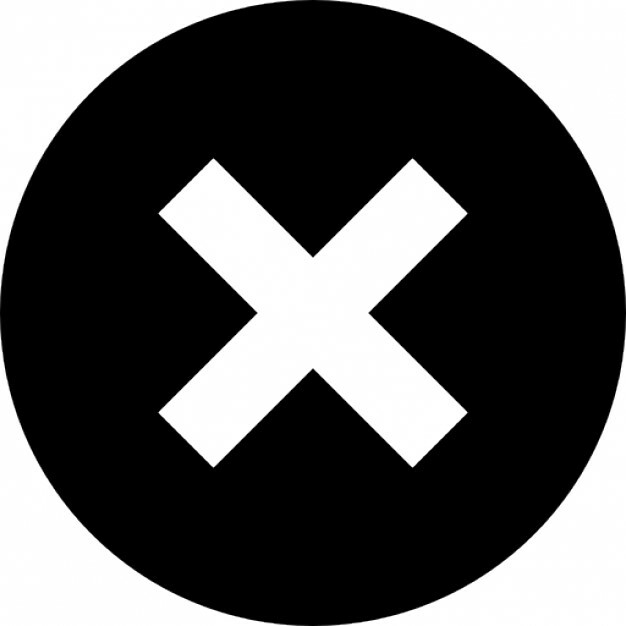 That was inexcusable,” he said. The government is “committed to making sure we will achieve things well before our mandate is ended,” he said. 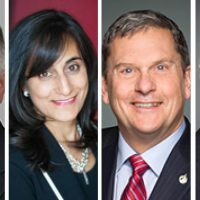 The Liberals’ Black caucus includes both caucus members who identify as Black and non-African-Canadian MPs who are interested in issues of diversity and/or have significant African-Canadian populations in their ridings. One of the biggest areas for action, Mr. Fergus said, is the disaggregation of data, which was also identified by the UN working group. This would break out statistics specifically relating to Black Canadians from others classified as visible minorities, to see how those of African descent are performing compared to those in non-Black communities. 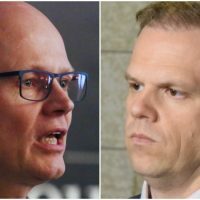 Mr. Fergus said that discussion has already started with Bill C-25, currently at report stage in the Senate, which requires corporate boards to provide information to shareholders on their own diversity. “That’s going to be helpful on that front. And now we can start saying: let’s disaggregate that, let’s make sure that we do have our place,” Mr. Fergus said. 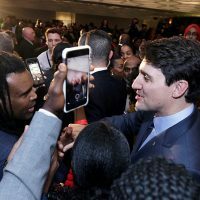 The Federation of Black Canadians—which officially launched in December and which Mr. Trudeau said the federal government heard from in the lead-up to the Jan. 30 announcement—also has a to-do list for the government. According to the Prime Minister’s Office, other groups invited to participate in the announcement included the Canadian Association of Black Lawyers, Black Business and Professional Association, the African Canadian Association, the Michaëlle Jean Foundation, Mosaïque interculturelle, Black History Ottawa, and Mois de L’Histoire Des Noirs Gatineau. 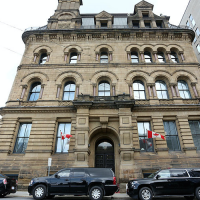 Federation chair Donald McLeod, an Ontario Court of Justice judge, told The Hill Times that the organization began as a group of concerned Toronto residents in December 2016. 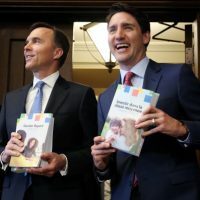 They put together a working paper of recommendations and began talking to politicians such as Toronto-area Liberal MPs Marco Mendicino (Eglinton-Lawrence, Ont. ), Adam Vaughan (Spadina-Fort York, Ont. ), Celina Caesar-Chavannes (Whitby, Ont. 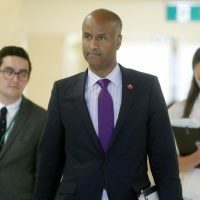 ), and Immigration Minister Ahmed Hussen (York South-Weston, Ont.). 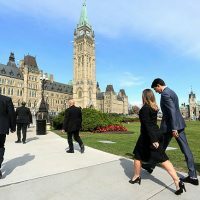 A formal, national group took shape in May 2017 and representatives secured a meeting with PMO principal secretary Gerald Butts before the group sat down with the prime minister and Mr. Hussen on June 28 in Toronto, where they made a four-part ask that included official government recognition of the UN resolution. Representatives of the group, which Mr. McLeod said builds on the legacy of the now-defunct National Black Coalition of Canada, will be back on the Hill Feb. 12 for a lobby day.